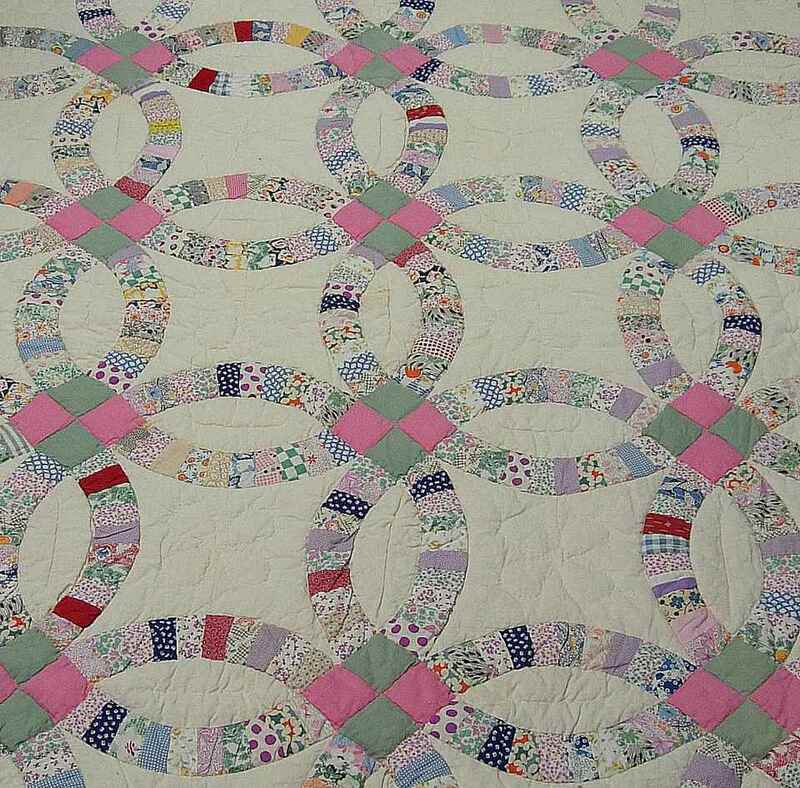 Properly storing an antique quilt will add life to an heirloom textile and preserve it. The best way to store a quilt is actually very simple as noted in step one below. There are times, however, when you cannot store a quilt flat, so there are ways to minimize damaging them when folding, as mentioned in step two. You can also store quilts by displaying them on a wall as noted in step four. Be sure to read the "Tips" below for more important information on storing antique quilts to make sure you do not damage them in the process. The best way to store an antique quilt is by spreading it on an unused bed and placing an everyday coverlet over it. Quilts can also be layered on a bed by stacking one on top of another if you own more than one. This storage method keeps quilts safe from dust and light while reducing stress on the vintage fibers that can result from folding then when they are not in use. If you do need to fold an antique quilt, spread it face down between two well-worn white cotton sheets and gently fold it in a pleated accordion fashion. While storing flat as noted in step one is always best, folding in this manner helps to reduce stress on old fibers and reduces the likelihood of tearing the old fabric pieces making up an antique quilt. Limited space may dictate storing a quilt under a bed safely sealed in a shallow Rubbermaid-type container. Just be sure to fold the quilt in the accordion manner recommended above and make sure it is completely void of moisture before placing it in the sealed container. If you are going to store a quilt by displaying it on a wall, a good method is sewing a four-inch wide tube or sleeve of fabric along the top back edge and stitching every inch or so through all layers of the quilt so that the weight will be distributed evenly. You can then attach it to a wall or other display area easily with a sturdy rod. Be sure to display away from direct sunlight to avoid fading. Materials used in manufacturing plastic bags, cardboard boxes, and wooden trunks and chests can all react with quilting fabrics. These should be avoided when storing quilts. If reactions occur with plastic bags, cardboard, or wood, they can cause quilts to become fragile, prone to tearing or even stain them. Stains like these are very difficult to remove from antique quilts without damaging them further. When using a Rubbermaid or similar container for storage, make sure the textile and the container are both completely dry to avoid mildew from moisture trapped in the container. If you're hanging the quilt on the wall for the summer season, be sure distribute the weight evenly over the entire width to avoid stressing the fabric as noted in step four above. Don't plan to store a quilt on a wall for more than six months. No matter how or where you store your quilts, avoid sunlight. All light damage to textiles is irreversible.